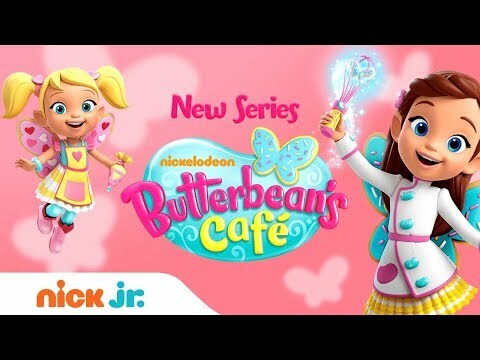 Get ready to be whisked away by Butterbean’s Café, a brand-new Nickelodeon series coming soon! 🍳 Video Credit: Nick Jr.
Australian-American dancer, actress and Teaneck native Kirrilee Berger will be the voice of a starring character on a brand-new Nickelodeon animated series. The 19-year-old will be the voice of Poppy -- the no-nonsense café chef and head of the kitchen -- on Nick Jr.'s Butterbean's Café. The show premiered Monday, Nov. 12, and centers on Butterbean, her friends and her sister, who take pride in serving up healthy snacks and sweet treats to the residents in their community of Puddlebrook. Berger's career began on the Broadway national tour of "Mary Poppins," where she became the youngest actress to play the role of Jane Banks. Berger also played the role of Susan Parks in the Broadway national tour of "Billy Elliot." Her television career took off when she booked two concurrent recurring roles on Amazon’s Just Add Magic and Disney’s K.C. Undercover. The teen took on a more complex project, portraying several characters in Netflix’s "The Who Was? Show" and will lead the original ensemble drama series "$1" for CBS All Access later this year. Berger’s talents also include singing and she is a dancer trained at the world-renowned Joffrey Ballet School.